The contact underscores the attention Germany's finance ministry has given to the country's largest bank at a critical juncture that will determine whether the state becomes a shareholder in the group. 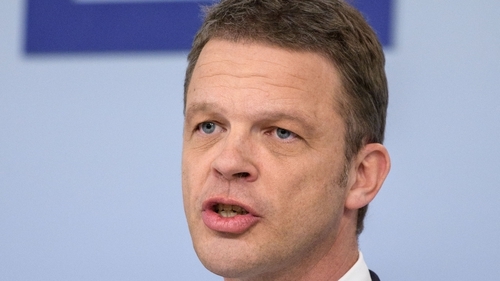 In a letter answering a question from a German lawmaker, seen by Reuters, the government said Deutsche CEO Christian Sewing had met three times this year with Germany's deputy finance minister, Joerg Kukies. Fabio De Masi, the politician lawmaker who made the information request, said the meetings showed finance minister Olaf Scholz, and his deputy, had been important in influencing talks, even though they have sought to distance themselves. A spokesman for the finance ministry said Kukies meets "with many representatives of banks on numerous occasions" because of his job, and declined to comment on the merger talks. Deutsche Bank's exploratory talks with Commerzbank come after prodding by Germany's finance ministry, which is worried about the future of the country's biggest bank. Any deal would see Berlin become a shareholder in the combined group, which one German official said would need up to €10 billion of fresh capital because of restructuring costs and the fact losses on investments could be triggered. Politicians fear this puts it on the hook to shoulder losses if the bank later runs into trouble.